My client was in need of a brand identity for their new business venture, The Sweet Northwest Baking Co, a domestic kitchen focusing on locally sourced, organic and sustainable ingredients and methods. The client desired branding that was minimal in design but full of character. It was crucial to incorporate baking and Northwest imagery into the branding. With a monochromatic color scheme and clean, simple illustrations, we developed a brand that feels fresh and personable as well as professional. Logo variations for different applications: bags, stickers, letterhead. 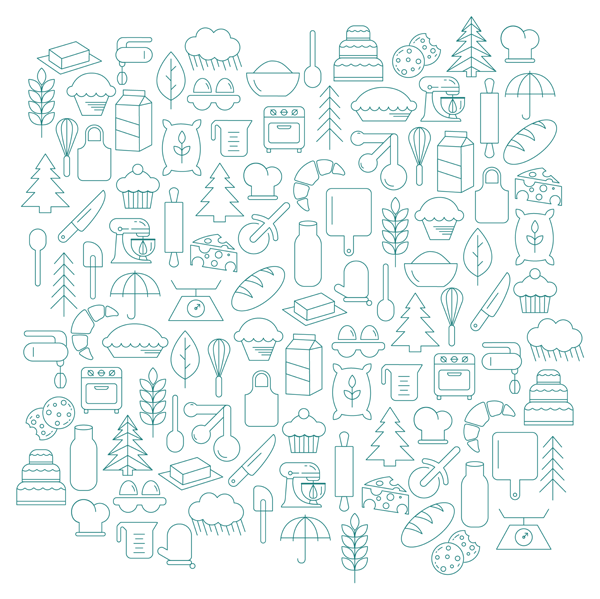 A pattern featuring baking and Northwest illustrations created for use within the branding.